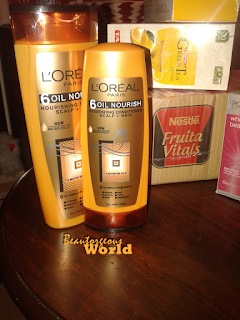 Loreal Paris recently launched 6 oil nourish range, so i had to buy it. I bought Loreal Paris 6 Oil Nourish (Nourishing shampoo- Scalp + Hair) 360ml , which is priced at 320 PKR. Loreal Paris 6 Oil Nourish (Nourishing Conditioner- Scalp + Hair) is priced at 220 PKR. I also bought Nestle Fruita Vitals carton (24 pcs), it cost me 610 PKR. Next i bought Tapal Green Tea Lemon two packs (i have it everyday after aftaar), each pack have 30 teabags , it cost me 90 rs each, which means 180 PKR in total. I also bought 3 lux soft touch soaps , which cost me 112 PKR. 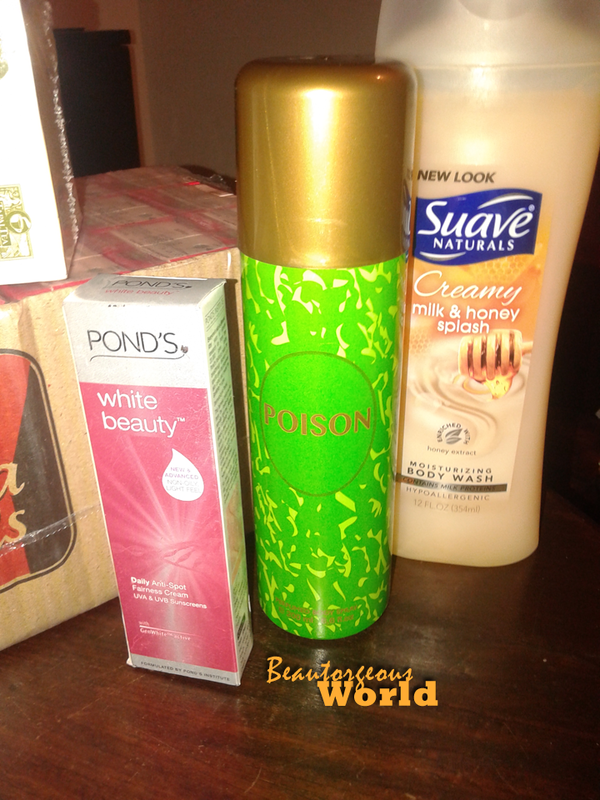 Next i bought my love, Ponds White beauty cream. I buy it every month since it launched. It is the first cream that actually suits my skin <3 I always buy it in tube, so that i don't have to worry about, it being dry. 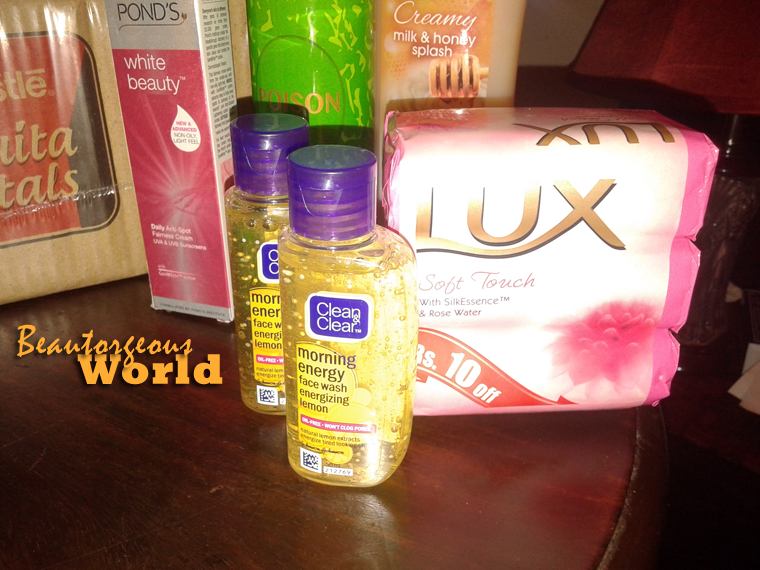 I bought two tubes, it cost me 190 PKR. 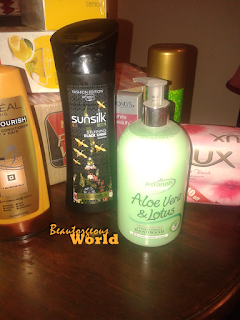 I also bought New look Suave Naturals Creamy (milk & honey splash) body wash. It cost me 270 PKR. Poison body spray cost me 215 PKR. Thankyou for reading this =)) Follow my blog for all my updates.